First, for Mobile Billboard, the concept is similar to other car advertising many have applied, such as Sticar, Ubiklan, and others. In this model, Indonesia’s GrabAds will be partnered with StickEarn and Karta in attaching ad/sticker contents in driver’s vehicles. StickEarn will focus on four-wheelers, while Karta is for two-wheelers. The second is In-Car Engagement. Formed as a digital and non-digital content which will be presented through tables or product information on the Grab Car drivers. The concept is to change a car into a mini mobile pop-up store for consumers to learn, test, and buy products on the way. In Indonesia, the implementation will be with Interads as a digital car top platform provider. Third, there’s In-App Engagement. Ads are displayed in an interactive widget (game, quiz, digital content, etc) in Grab app. Brands can display exclusive promos through the customer’s app. This feature has been launched in the app since November. With the newsfeed approach, the information is expected to be more relevant. “Along with the increasing connection between online and offline segment, various brands are now focused on delivering an integrated experience. 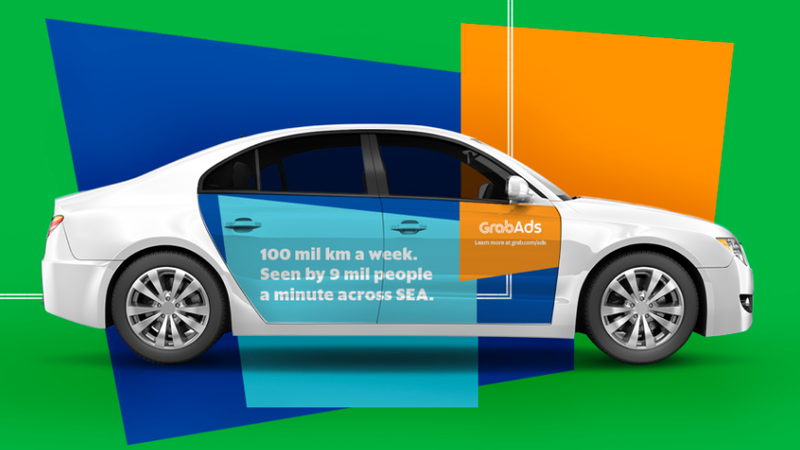 GrabAds will help brands making use of our drivers to reach a broader audience in Southeast Asia. Its objective is to increase awareness and delivering a more personal experience,” Nasheet Islam, Head of GrabAds, explained. GrabAds also applies Grab’s big data, indulging brands with insights regarding the local market and O2O existence to create a more intense customer service with brands. The right customer segmentation can produce a more personal experience to increase traction in business. “GrabAds is a great way for driver and delivery partners to increase revenue. Grab is committed to consistently helping partners every month via GrabAds while supporting brands to gain exposure with customers,” he concluded.